Maria Mirenzi is a dedicated music educator and musician in Philadelphia. She earned her Bachelor of Music Education degree from Temple University’s Boyer College of Music with a concentration in saxophone and jazz studies, and has a Level 1 Orff-Schulwerk certification. 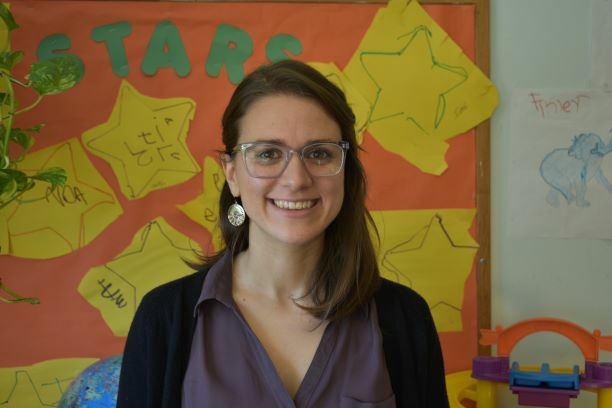 In addition to teaching pre-school music classes at Settlement’s Kaleidoscope, Maria also teaches music at Play Arts. In the past, she has taught elementary general music in the School District of Philadelphia and has been a private instrumental instructor at The Shipley School and at her own home studio. She dedicates the rest of her time to the local Philly music scene, playing shows with her own indie band and saxophone quartet, and also curates a dynamic concert series featuring local musicians at Elixr. Maria believes that music should be a holistic experience for her students, encompassing foundational musicianship skills, creativity, movement and cooperative teamwork.